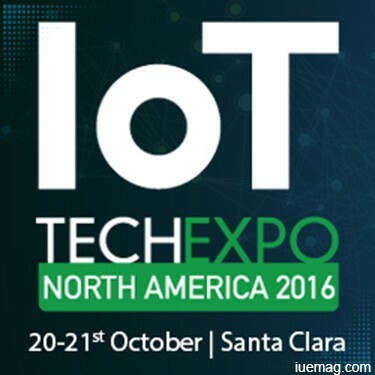 The IoT Tech Expo will be descending on Silicon Valley next week (October 20-21st) for 2 days of top-level content, discussion, case studies, live demos, workshops and plenty of networking opportunities. There will be 8 conference tracks, an exclusive Samsung Workshop, IoT hackathon and a vast exhibition including robotics, 3D pizza printers, drones, mind-reading tech and more! Over 4,000 have already registered for the event which features 200 leading speakers from across a ranges of industries including manufacturing, healthcare, logistics, transport, healthcare, retail, insurance, government, energy and automotive. The show will cover the entire IoT ecosystem with topics including; predictive maintenance, smart logistics, data analytics, connectivity, digitalisation, energy, smart grids, healthcare, sustainability, developing for the IoT, smart factories, smart homes and connected cars, monetisation, Big Data and cyber security. The dedicated conferences were a huge success in London and Berlin and you can expect more real-life case studies, dynamic discussion and innovative thinking in Silicon Valley. - Bill Brown, Director of IoT Architecture, Stanley Black & Decker, Inc.
To see all of the above and more at the IoT Tech Expo North America, please visit the website to register your pass. Any facts, figures or references stated here are made by the author & don't reflect the endorsement of iU at all times unless otherwise drafted by official staff at iU. This article was first published here on 20th October 2016.